Fredericton – Tuesday, at the PC platform launch, PC staff told reporters Higgs planned to cut 2000 jobs during the technical scrum. This question was asked by journalists, directly to Higgs. Higgs did not disprove this information, as such, the media released articles with these numbers. At that moment, CUPE NB sent out a press release at 3:55 pm and a social media message denouncing this promise. A few hours after the press conference, the PC communications director emailed media saying the PC staffers had made a mistake, and that 600 jobs, not 2000 jobs would be cut through attrition. “One way or another, this will affect the level of service New Brunswickers expect and deserve,” said Daniel Légère, president of CUPE NB. “In our opinion, one job cut is one too many in our public service, which is often operating on a bare bone staff,” he added. Unfortunately, on Wednesday’s televised Leaders’ debate, Brian Gallant’s attacked the PC leader, saying he would cut 2000 jobs out of the public sector. This was, however, not once refuted by anyone in or after the debate. “We stand on our principle. 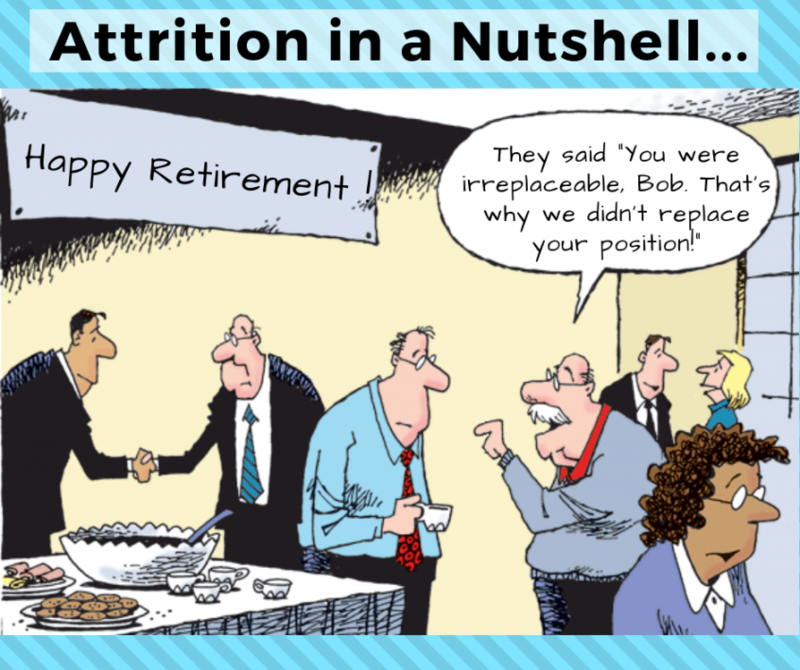 Attrition, which means retirements are not being replaced and jobs are phased out, only worsen existing work shortages and workload issues,” said Légère. “If it happens, this would definitely mean a loss of employment opportunities for new graduates and the province’s young people,” he concluded. Moncton – During the unveiling of his electoral platform this Tuesday afternoon, the New Brunswick Progressive Conservative leader Blaine Higgs promised to cut over $538 million out of public services. “Higgs will cut front-line workers like licensed practical nurses, park employees, custodians, teachers and more. 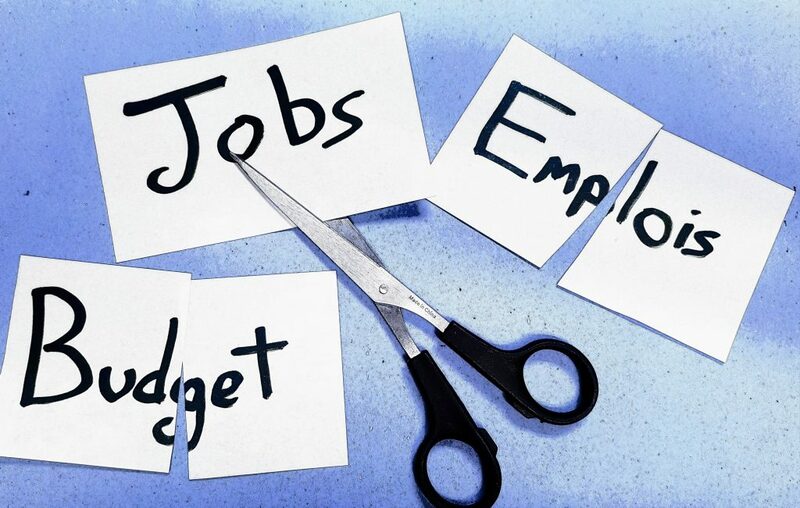 This is ridiculous, as most sectors are already understaffed and often running on a bare-bones budget,” said Daniel Légère, president of CUPE NB. For comparison, $538 million represents 42% of the current Education budget ($1258 million), or 2.3 times the current budget of Justice and Public Safety ($231 million). During the press conference, Higgs also promised to remove 500 public sector jobs every year he would be in power, for a total of 2000 public sector jobs. This represents cutting 13% of all public sector jobs (for a total of 15 000). After the press conference, Higgs’ communication director later “corrected” the PC declaration and said “only 600 jobs” should be cut. “Last time I checked, our population’s needs did not shrink by 13%,” said Légère. “Higgs’ regressive-conservative vision is against the times and against hard-working families,” he added. CUPE believes every New Brunswicker – urban or rural, young or old, deserves good public services. 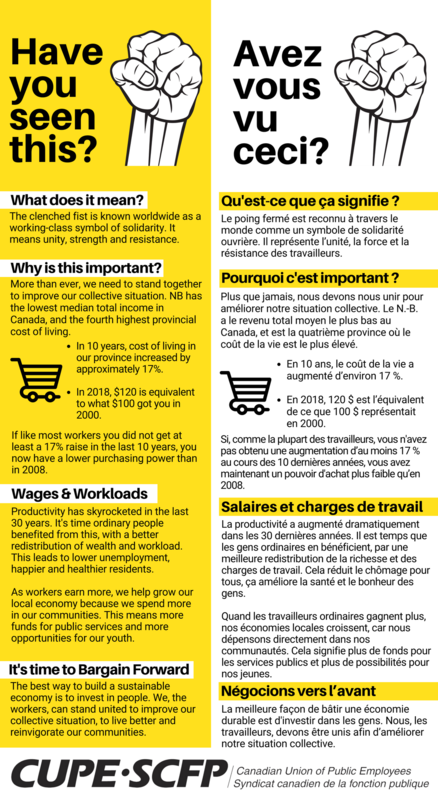 We can achieve this through progressive policies that grow our province, not shrink it. 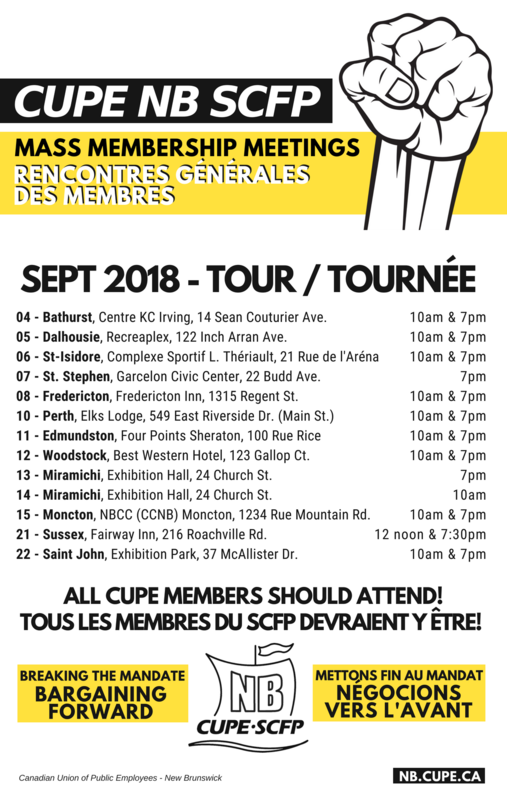 This September, attend the CUPE Mass Membership Meetings in your area. 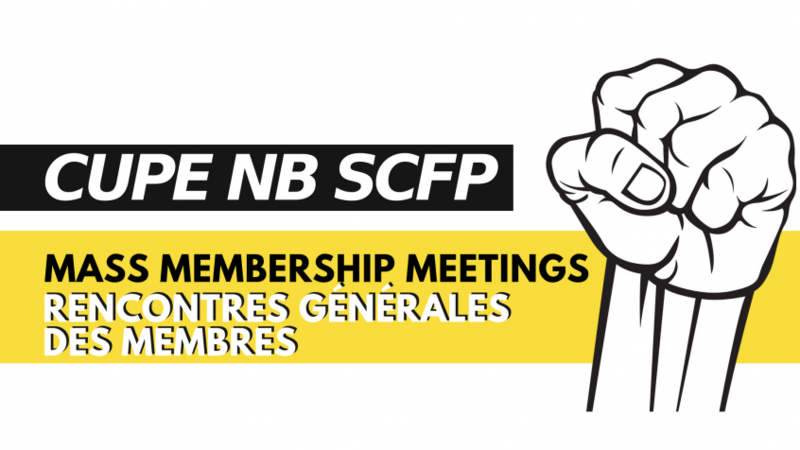 ALL CUPE MEMBERS IN NEW BRUNSWICK SHOULD ATTEND! It’s time we unite and prepare all locals to push for better wages and reduce workloads. It’s time we bargain forward! Fredericton – Last Friday, on August 10, 2018, the City of Fredericton was shaken by a terrible act of violence. In this difficult time for the community and our members, the Canadian Union of Public Employees would like to offer condolences and support to the families of the victims, the community and our members who are affected by the shooting. “Our thoughts are with the families of the victims, the community and our members who are going through a very difficult time “, declared Brien Watson, Vice-President of CUPE NB. The Canadian Union of Public Employees want to express gratitude toward our paramedics from Local 4848 as well as firefighters and police officers who went with courage into an extremely dangerous situation to help the victims, especially the two police officers who unfortunately made the ultimate sacrifice. We also want to recognize the hard work of the members from CUPE 1709 (inside workers), CUPE 508 (outside workers), CUPE 1783 (transit workers), CUPE 3864 (professional technical group), CUPE 4848 (paramedics and dispatchers) and CUPE 908.01 (health care workers) who stepped up to keep the City of Fredericton running during and after this tragedy. Their hard work will help Fredericton to begin the process of healing the wound left by this shooting. 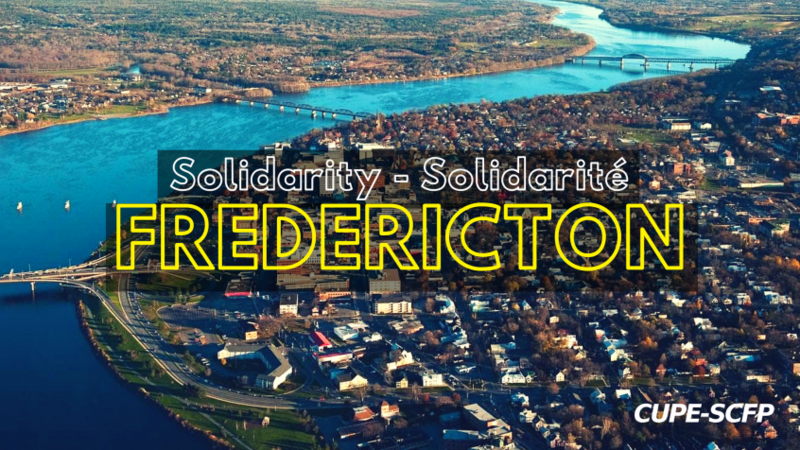 “I have no doubt that the people of Fredericton will continue to feel confident and safe in their public spaces and events thanks to those workers,” said Watson. The Council of Canadians, the Common Front for Social Justice, the Moncton and District Labour Council, the New Brunswick Federation of Labour, and CUPE New Brunswick have formed a coalition to convince Moncton City Council to bring back in-house operation of its drinking water treatment plant. “Council needs to break the silence on this unique opportunity. With Veolia’s 20-year contract expiring in 2019, Moncton can finally bring water services back under public control. This will save money, ensure water quality and protect our environment,” said Darcy Barker, coordinator of the new coalition. Recently, a City communications director confirmed that a public feasibility study should be in the works soon. “Councillors have yet to say anything on where they stand or how they feel about this issue that affects all residents. I hope that they do go ahead with a public-option study, and that their comparative analysis be made public before a decision is made,” said Barker. Members of the coalition presented their concerns to Moncton City Council on May 7th. However, Council gave no instruction to halt the staff-led process of looking for private contractors to operate and maintain Moncton’s drinking water. On June 18th, Council received a staff report that two companies – Veolia and Accione Agua/Groupe Hélios – have been shortlisted to compete for a new fifteen-year contract. The coalition has launched a new website, www.MonctonH2O.ca, where residents can learn more about this issue and voice their concerns directly to City Councillors. “We know residents care about this issue and we hope to give them the means to put enough pressure on Councillors to convince them to consider the public option”, said Pamela Ross, Chairperson of the Moncton Chapter of the Council of Canadians. 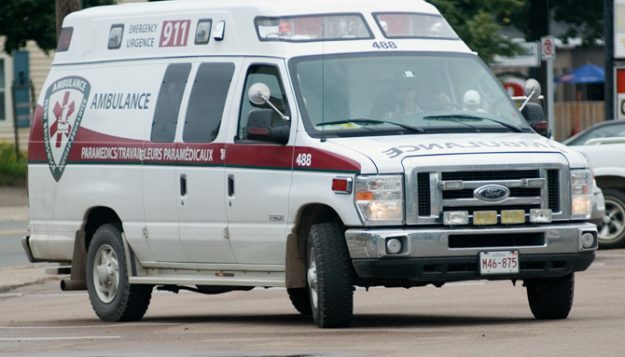 A recent report in the Telegraph Journal implied that there is currently a gag order placed on Paramedics and Dispatchers working for Ambulance NB. CUPE is setting the record straight: there was only a media blackout while the parties are in discussions on the application of one specific provision in the collective agreement. “There is no gag order, there was a media blackout to deal with an issue within the collective agreement; this is a common practice with regards to contract interpretation issues. It’s a basic principle of respect that we do not negotiate in the media. Most public-sector unions follow this guideline, it’s common sense,” said CUPE Local 1252 Representative Ralph McBride. Currently, there is a joint committee with the Employer and the local looking at issues of retention, recruitment, language training and testing, as well as possible bursary programs to attract students to this profession. The committee hopes to be able to supply a briefing to government officials by mid-September. “CUPE has always shown by our words and actions that we believe in transparency when it comes to public services. Public awareness is a priority for us. 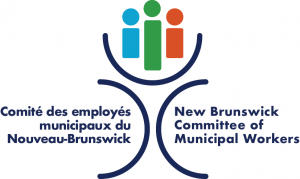 We will continue to speak up on issues that impact New Brunswickers and the delivery of public services in our communities across New Brunswick”, said Brien Watson, 1st Vice-President of CUPE NB. 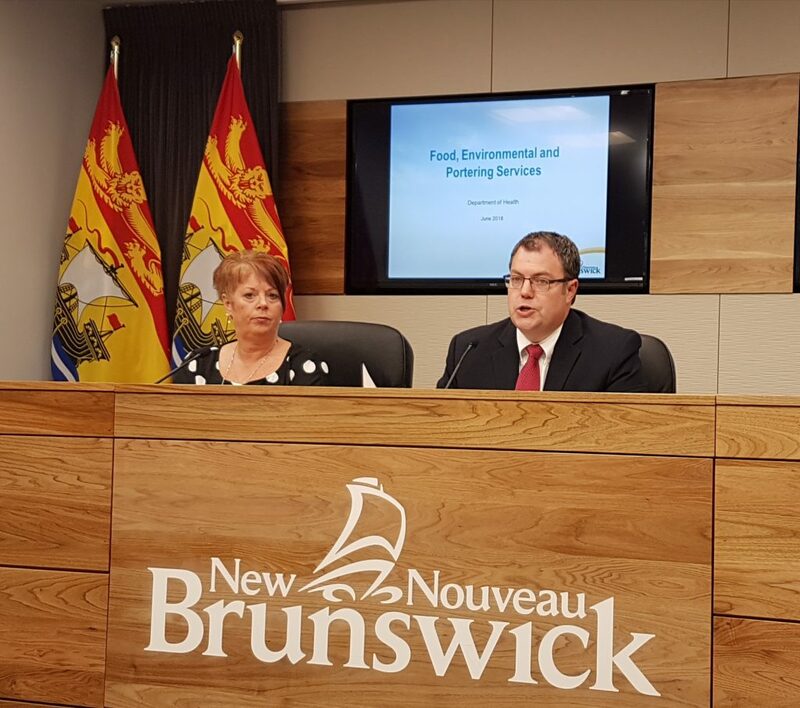 This Wednesday afternoon, the provincial government has announced it would not proceed with the Sodexo takeover of Food, Environmental and Patient Portering Services in New Brunswick Hospitals. Norma Robinson, President of CUPE Local 1252, sits next to Benoît Bourque, NB Health Minister, during the announcement. 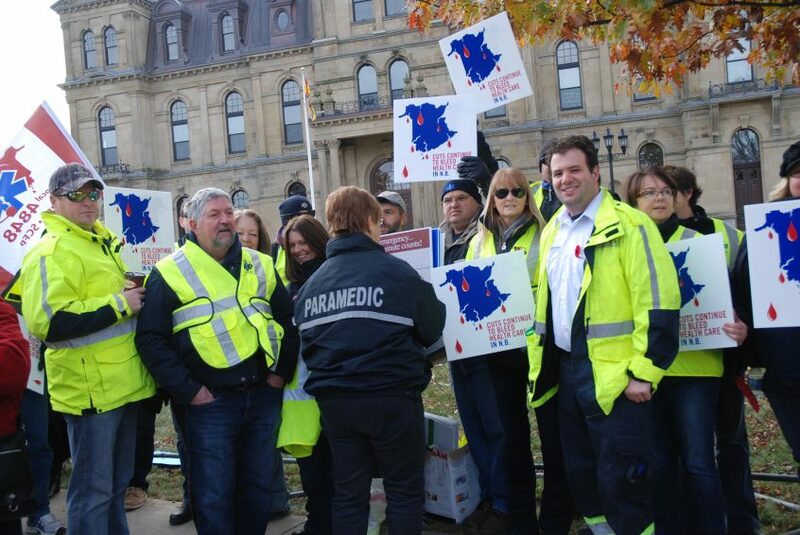 “After petitions, rallies, meetings and citizen advocacy, our efforts to halt privatization has been successful,” said Norma Robinson, President of Local 1252, the New Brunswick Council of Hospital Unions. Over 280 jobs in hospitals would have been be eliminated if the government had given the green light to Sodexo. “I am quite pleased the government has listened: you can’t cut your way to prosperity. I am proud to see how members, citizens, the Vitalité Health Network, health professionals, economists and even farmers came out in support of public healthcare, rather than private interests,” said Daniel Légère, CUPE NB president. In December of 2017, a joint labour-management Steering committee launched the Task Force on Food, Environmental and Portering Services. The mandate of the Task Force was to identify the current gaps and opportunities with respect to the provision of food, environmental and portering service within our Regional Health Authorities. “The Task force did its job and concluded that privatization was not the solution. The new Health Minister, Benoit Bourque, did listen to the workers’ concerns on Sodexo,” said Robinson. “Our work is not done. There remains a significant amount of work to be done as we move forward to make improvements to our public healthcare system, but today we celebrate this victory,” concluded Norma Robinson.